The lifestyle you want starts here! If you're considering a franchising opportunity, several factors play into your decision. You want to enter a proven, thriving, and recession-resilient market. You want to partner with a known brand that lowers the barriers to success. You want to be supported every step of the way, from startup financing to marketing. That's exactly what you get with Anytime Fitness. To experience a franchise model designed from your perspective, move through the information in this website, and start living your dream lifestyle today. You have a wide range of choices in franchise opportunities. So, why is fitness the right market for you? Consider the fact that nearly a million people join fitness clubs each year, pushing membership to 41.3 million people nationwide*. This number is likely to grow as more people commit to an active lifestyle, often spurred by the increasing number of corporate wellness programs and health insurance incentives. Where will the vast majority of this growth continue to happen: in the 24-hour, co-ed model invented and pioneered by Anytime Fitness founders Jeff Klinger and Chuck Runyon. *Source:www.IHRSA.org/American Sports Data Health Club Trend Report. The perfect blending of many factors makes Anytime Fitness unique. We offer a business and product that people need and enjoy, in an industry that continues to grow every year. The convenience of our product, for both franchise owners and members, is just one of the many features allowing our concept to thrive. The typical Anytime Fitness franchisee has a passion for fitness and an entrepreneurial spirit. Ranked as one of the top low investment franchise options, club owners tend to experience a return on their investment at a faster pace than other businesses. Typical club size is 4,000 square feet, making them particularly suited to strip centers. 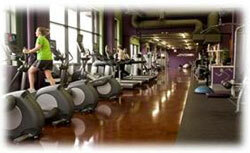 Click on Request Information for FREE info on how to open a Anytime Fitness franchise today! Please Note: This Anytime Fitness franchise opportunity and other franchise business opportunities, businesses and franchises for sale on this web site are not to be considered as an "offering", "franchise offering", suggestion or recommendation by Franchise Leader™. This advertisement depends entirely on the truthfulness of the information provided by our advertisers which includes, but is not limited to, franchisers, franchise brokers, franchise consultants and business brokers. Franchise Leader™ recommends that you consult a lawyer, financial consultant, accountant or professional advisor before buying a franchise or business opportunity or any type of business. By using this form or any part of our website, you have agreed to all terms and conditions of Franchise Leader™. Please review our Terms & Conditions for more information.